staff to deliver a great meeting. 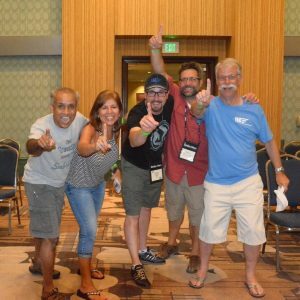 This year, the ITE International Annual Meeting had a new format that included TransportationCamp, a First-Timers Reception, and an ITE Game Night that featured the first ITE International MiteY Race. All three of these events were well attended, but perhaps the highlight was the Old Boardies Team of Rock Miller, Zaki Mustafa, Paula Flores (Benway), Shawn Leight, and Bruce Belmore winning the MiteY Race. To say their win was an upset would be an understatement, and my teammate Devin Moore and I (aka Team MiteY Moore) will recover in time. For those of you on Facebook, check out Zaki’s photos at the finish line. Special thanks go out to Neelam Dorman, Cathy Leong, and Cal Bear for planning a Disney-themed MiteY Race! The Western District was recognized many times over by ITE International at the Excellence in Transportation Awards Ceremony. The City of Bellevue, WA received ITE’s 2016 Transportation Achievement Award for Operations for their Implementation of an Adaptive Traffic Signal System project. The City of San Luis Obispo, CA received ITE’s 2016 Transportation Achievement Award for Planning for their Circulation Element Update. The Transportation Education Council Innovation in Education Award was awarded to four recipients, including David Hurwitz and Rhonda Young of the Western District. The City of Seattle DOT was recognized by the Transportation Planning Council as Best Program for the Move Seattle project. Sanjay Paul received the Transportation Safety Council Edmund R. Ricker Award. Devin Moore was recognized as the 2016 Rising Star from the Western District. Six of our members graduated from the Leadership ITE Class of 2016 (Hassan Ahmed, Hanieh Houshmandi, Kondala Rao Mantri, Kaylinn Pell, Joseph Staszcuk, and Ray Yparraguirre). And the San Francisco Bay Area Section was recognized for the Section Activities Award! 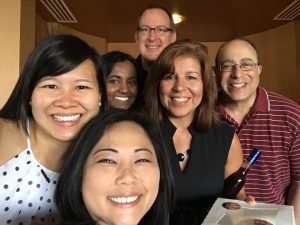 Overall, this was a transformative meeting for ITE, ushering in the “New ITE” guided by what ITE Executive Director and CEO Jeff Paniati calls the four cornerstones (recognize, relevant, value-added, and connection). I was particularly struck by the slogan on the volunteers shirts: A Community of Transportation Professionals. From this, I infer that ITE strives to welcome all professionals involved in and influencing transportation. Basically, ITE should be an organization that welcomes and accommodates all transportation professionals. Being in Anaheim, I couldn’t help but notice how ITE is like Disneyland in this manner. Disneyland offers something for everyone, and not just because it’s the ultimate example of multimodal euphoria of rail, water, rubber tire, aerial, and spinning cup transport. Disneyland and ITE both offer a broad spectrum of ways to challenge oneself and to engage with others. And both leave me smiling at the end of the day. Over the next year I will share with you the progress the Western District Board achieves on our initiatives. We will continue our work on student programs, developing new initiatives to support our young professionals, and continuing to explore new ways to communicate with our members through electronic and social media. 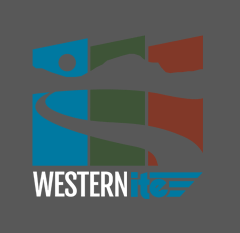 You will soon receive a survey that asks how you engage with other transportation professionals, whether at a local level, at ITE Western District Annual Meetings, or through other professional organizations. We want to hear from you so that we understand what our members expect of a Western District Annual Meeting, and ultimately increase our member participation each year. I look forward to a year of engagement, working with our Board, and reaching out to our local Sections and Chapters across the District!